Yesterday the the San Diego County Regional Airport Authority Board approved ten new food and retail concession packages which include close to fifty outlets. Both of the approved food service concession packages include locations of interest to craft beer fans that often find themselves waiting for flights at the San Diego airport. Stone Brewing Co. has partnered up with High Flying Foods for a restaurant location with a bar in Terminal 2. As with Stone World Bistro and Gardens in Escondido and the planed Stone Brewing World Bistro and Gardens Liberty Station expect good food and quality beer. This Union Tribune article suggests that High Flying Foods will be using some produce from Stone Farms in their airport restaurants, which presumably includes the Stone restaurant. When talking about eating or drinking at any airport, the cost is one of the first things that comes to mind, as it did in the comments on the Union Tribune article about the new restaurants. Greg Koch, Stone Brewing Co. CEO left a follow up comment that should appease those worried about exhorbitant costs, “The airport requirements are that the prices be no more than 10% above the pricing you’d find outside of the airport (and stadiums and such were disallowed as comparables).” So expect prices to be slightly higher, but still within reason. According to the press release put out by the airport, the new eateries will be located throughout all terminals at the airport, including the Terminal 2 expansion set to open in 2013. Some of the new dining and retail outlets are expected to open as soon as December 1st, 2012. Stone’s Koch also commented on the UT article that they would be the first stop after security in Terminal 2. “You’ll be able to relax with a fresh local craft beer while you watch your fellow travelers get patdowns, fumble with their luggage & plastic baggies full of ridiculous amounts of lotions / cosmetics, and take ten steps before turning back around in momentary panic as they realize they didn’t grab their cellphone off the conveyor,” Koch commented. 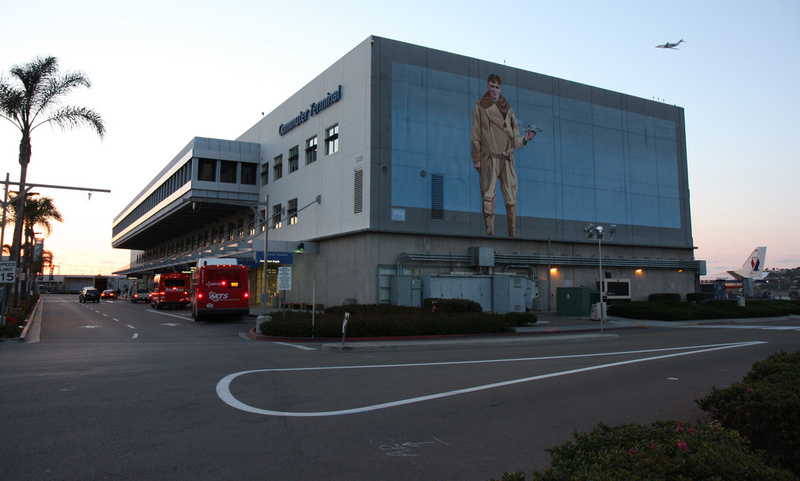 Karl Strauss works with a concession partner at Lindbergh Field with locations in both Terminal 1 and Terminal 2. They don’t anticipate much changing with the new dining locations coming in. Click here to read the full press release which includes all of the new dining and retail outlets approved by the Airport Authority. This post was edited to remove an artist’s rendering provided by the airport of the Stone restaurant as well as text describing it because Stone said the image was inaccurate and to clarify details about “Craft Brews on 30th St”. Photo: San Diego Shooter. Used under Creative Commons license. 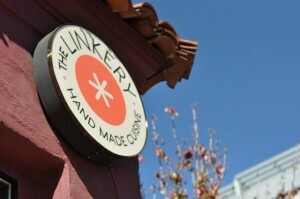 The Linkery has always focused on well made, handcrafted (and often local) food. In their own words from their website, “Making everything by hand, from scratch, including house-baked bread, house made mustard and sauerkraut, and hand spun ice cream.” The Linkery has a great beer lineup but they have never been able to make their own beer, however in this blog post by Linkery owner Jay Porter he announces that The Linkery is looking into brewing their own beer. Done right, I think a brewpub would be a great addition to the neighborhood. The uptown neighborhood’s of South Park, North Park, Normal Heights and University Heights have some of the best beer drinking establishment’s around in my opinion but only one “brewpub” (Blind Lady Ale House/Automatic Brewing Co. being the only current brewery in those neighborhoods). Click over and read more about it on The Farm and the City (The Linkery’s blog). Their blog doesn’t allow comments, so if you have any thoughts on the prospect of a brewery at The Linkery feel free to leave a comment below. Thursday April 14th: It’s not often that beers from Santa Rosa’s Moonlight Brewing show up down here in San Diego, but the folks at The Linkery will have four Moonlight beers on tap starting Thursday. They’ll have Death and Taxes Black Beer, Bombay By Boat IPA, Reality Czeck Pils, and Two Weeks Notice Gruit Ale. The Death and Taxes is in honor of Tax Day the following day. Friday April 15th: The Real Ale Festival at Pizza Port Carlsbad gets underway, they’ll have over 50 cask conditioned beers which makes it the largest selection of real ale on the west coast. It takes place all day Saturday as well. Another Tax Day celebration, Downtown Johnny Brown’s is doing their 3rd Annual Bitter and Sour Night featuring some of the best IPAs and sours around. The lineup looks stellar, if you’re a fan of either of those styles (which if you’re reading this blog I would guess you like one of them if not both) this night is highly recommended. 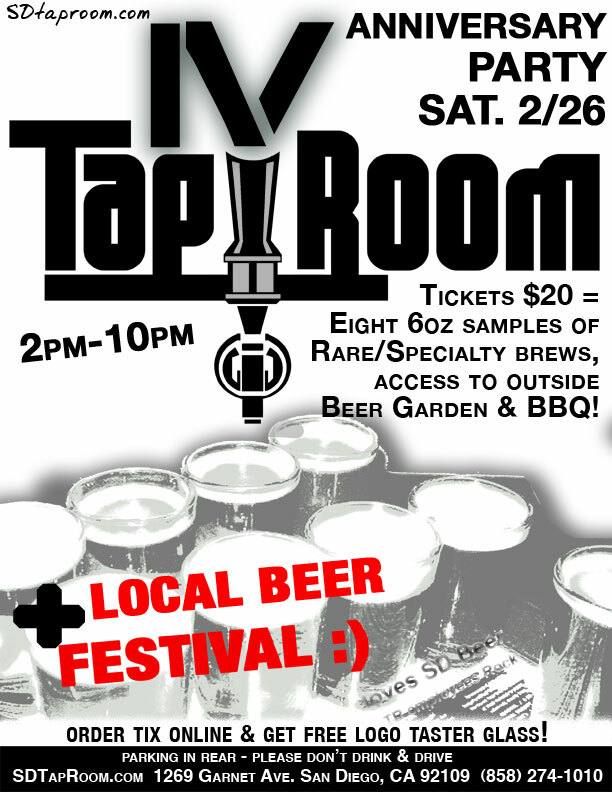 Saturday April 16th: The Real Ale Festival is happening all day, from 11am to 11pm. $30 gets you in with eight 4oz tasters. Starting at 7pm they’ll let you in for $20. Sunday April 17th: If you don’t already have tickets for Stone Oakquinox you’re out of luck, it’s sold out. But do if you happen by Stone make sure you have your growler with you, they’ll be doing 2008 Stone Old Guardian Barley Wine Aged in Red Wine Barrels growler fills. Monday April 18th: It’s $3 local pint night at Toronado from 6pm to close. I think Eleven is still doing their pint night as well (all draft beers) but I haven’t heard much about it lately. I’ve sent an email over to the folks at Eleven to confirm their Monday night special is still on. I’ll update this post when I hear back. Tuesday April 19th: The Master Pairings Beer and Chocolate pairing at Stone sounds delicious. I’m not sure what beers they’ll be serving but it’s sure to not disappoint. Wednesday April 20th: Third Wednesday of the month means it’s time for the DrinkAbout. No word on any of the specials this month but it’s sure to be a good time as always. They’re also doing another beer pairing dinner at Homebrew Mart/Ballast Point Linda Vista with MIHO Gastrotruck and Fiji Yogurt. Fiji is making a Ballast Point Even Keel wort based Lemonade Ginger Sorbet flavored with Cascade Hop Oil. 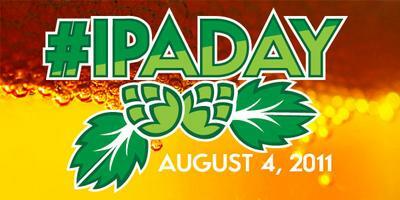 They’ll have a ton of great beers on tap including Ginger Big Eye and DoBelgo DIPA (Dorado with Belgian Yeast). New English Brewing Co. has been around for a couple of years now on draft at various bars and restaurants around town, but it seems like they might be stepping things up hoping to become more visible in San Diego’s ever growing craft beer landscape. New English’s current lineup of four year round offerings don’t put them atop the list of beer geeks looking for rare, barrel aged, high alcohol beers but it is a solid lineup of easy to drink flavorful beers. New English recently purchased some firkins and pins to get their cask program under way. They had a cask of their Why?Not American Wheat Beer at The Linkery last month and they’ll be at the Real Ale Festival at Pizza Port in April. 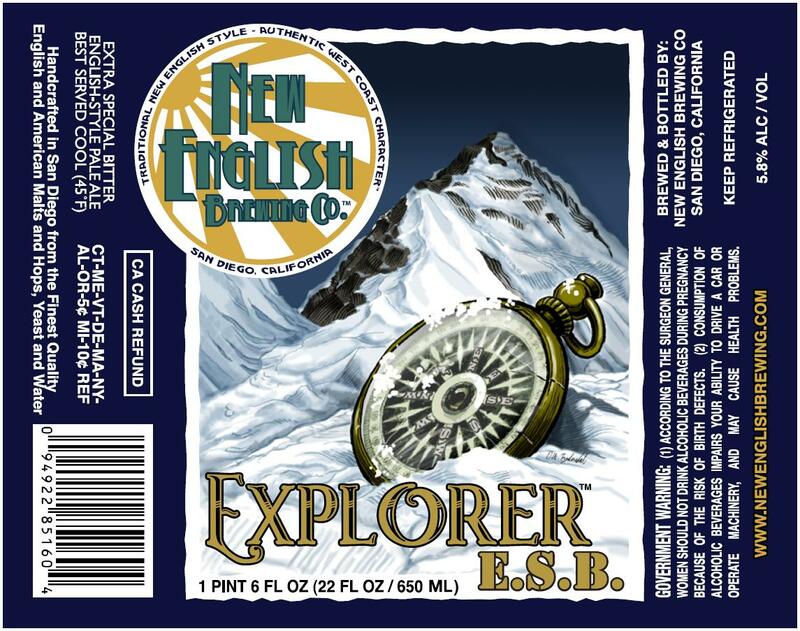 New English’s Explorer ESB and Troopers Tipple IPA seem like a perfect fit for cask conditioning. In addition to casks, New English’s beers will be coming to bottles soon and will quite possibly be available in a bottle shop near you. They’re working on label approval for all four of their beers. Simon Lacey owner and brewer at New English tells me he recently took delivery of a bottle filler and labeler last week and already has bottle distribution lined up. His hope is that the bottles will start showing up at local bottle shops around the first of May. And one more bit of news. New English’s lineup might not be limited their four standard beers for long, a picture they posted to their Facebook page of a new tap handle suggests that seasonal and special releases might be coming in the future. New English Brewing Co. is located in the Mission Brewery building on Hancock Street near Washington. Confusingly, New English shares this building with 5 Points Brewing Co. but not with Mission Brewery who just opened their new brewery downtown. New English’s tasting room is open Friday evenings and Saturday afternoons and they just might have the best growler fill prices in town. Check out their website for more info. I usually make it a point to have a couple good beers every weekend, but for some reason this weekend seemed to be all about beer. Maybe it was the rain on Saturday, what else is there to do when it rains? Regardless of the reason, I drank some great beer this weekend. Friday night I had dinner at KNB Wine Cellars and somehow managed to only have one beer. Their tap list is so good it was hard to decide on what to drink but I had Vrienden, the slightly sour and a little sweet (thanks to hibiscus flowers) New Belgium/Allagash collaboration. This wasn’t the first time I had Vrienden and I’m still undecided on it. The first time I had it out of a bottle I thought it was good but not great. I had it on draft about a month ago and really enjoyed it. This time it seemed sweeter than I remember, the fruity hibiscus flowers were very apparent. A good beer but I didn’t like it as much as I remembered. Saturday I started the day off watching the SDSU/BYU game and opened my last bottle of Deschutes 2009 The Abyss. It’s been reported that many of The Abyss bottles from 2009 were infected and had off smells and flavors which was the case with this bottle. (The last bottle I opened before this one was last summer and the off smell/flavor wasn’t nearly as prominent.) There was a strong Brett smell and some off flavors, it wasn’t terrible but didn’t taste right. I’ve heard some people say they really like these infected bottles, and others say they can’t stomach it at all and have to pour it out. I was able to drink about half the bottle but am glad I don’t have any more of these bottles sitting around. A bit later in the day I went to The Linkery for their 6th anniversary where they had some nice beers on tap. I started off with Ballast Point’s San Salvador Saison, which now is about five or six months old. I had a small taster of San Salvador at the Ballast Point 14th Anniversary Festival when it was fresh and it was one of my favorite beers of the day. If memory serves me it has changed a bit, but it still a great beer. It has a much stronger yeast characteristic that gives it a bit of a sweet flavor up front. There is still plenty of spice in there but the yeast is what stands out. I also had Black Market’s Rye IPA on cask dry hopped with Cascade and Amarillo hops. This was only my second time having this GABF gold medal winning beer, plenty of citrus hops and a nice mouthfeel from the cask. Later that night I ended up at Counterpoint where they had a keg of Lost Abbey’s Red Poppy on. This is one of my favorite sours but sadly it’s pretty rare. I heard they weren’t doing too many kegs of it this year, so far I’ve seen it at Eleven, Ritual Tavern and now Counterpoint. If you see this on tap I highly suggest it. Bottles have started showing up at some of the better liquor stores in town, but they surely won’t last long. I also tried a Victory Golden Monkey, a strong Belgian-style golden ale, it was slightly sweet and fruity and had some serious alcohol heat to the first few sips but was overall a good beer. Sunday I had to go for a bike ride to burn off all these beer calories, but that ride took me right past Pizza Port Ocean Beach where I stopped in for a few beers. Jolly Pumpkin’s Madrugada Obscura is a nice slightly tart and sour but still good and roasted stout. If only this is what the infected 2009 The Abyss had tasted like. I haven’t seen this on draft before, but I know some bottles showed up recently at some local liquor stores, I highly recommend it. It’s sour, but not too sour, so give it a chance if you like stouts and are on the fence about sours. And being a Pizza Port, I just had to try Nickel Bag, the double IPA brewed with help from O’Brien’s Pub’s Tom Nickel. This was so smooth and easy to drink (for being 10% ABV) it could be dangerous. There are a ton of hops in there, but it’s not overpoweringly bitter, it has some citrus and pine flavors from the hops and a nice malt backbone to balance things out. And for the final beer of the weekend I cracked open a 2011 Stone Belgo Old Guardian Barleywine while watching the Oscar’s. I would have loved to do a side-by-side comparision for the Belgo and the regular, but wasn’t able to do that last night (I’m sure I’ll get another opportunity in the future). I really enjoyed the Belgo OG. The Belgian yeast made it fairly sweet, but not in an overpowering or cloying and syrupy kind of way, which took a lot of the alcohol heat off. At about $6/22oz this is a solid beer. I can’t wait to try it along side the original OG and probably put some of both versions away to age for a while. I’ve been trying to be pretty good about putting up weekly summary posts of beer events going on around town, so as not to litter the blog with random one-off event postings all the time, but every once in a while there’s a beer event, or even just a single beer that I feel is worth a post of it’s own. 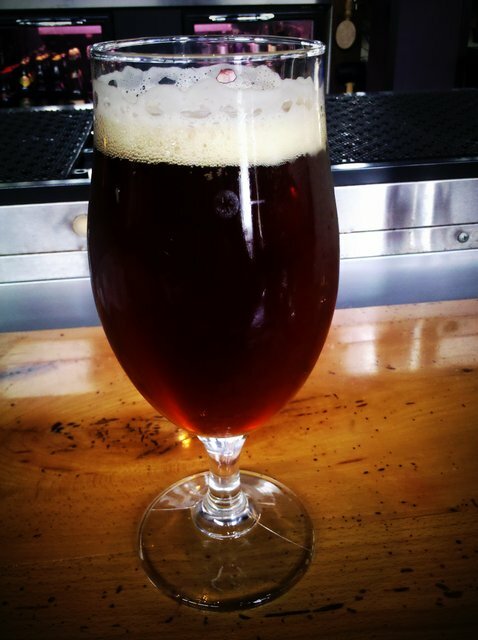 Tomorrow (Wednesday, Jan 19th 2011) The Linkery will be tapping a cask of New Belgium Brewing Co.’s Shadow of Foeder. If you’re anything like me you’ve probably never heard of Shadow of Foeder. But if like me, New Belgium’s La Folie is one of your favorite beers, you won’t want to miss this. Shadow of Foeder is a black sour, a blend of La Folie and New Belgium’s 1554. The story of how and why The Linkery got this rare beer is a good one, head on over to their blog, The Farm and The City to read about it.